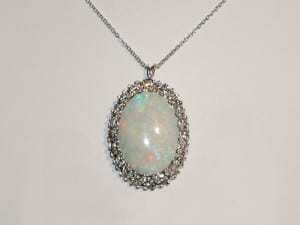 The opal is the birthstone for October. 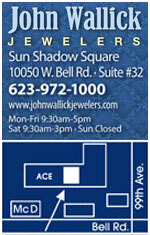 At John Wallick Jewelers, in Sun City, Arizona, near Phoenix, AZ we carry beautiful opals,custom opal jewelry. 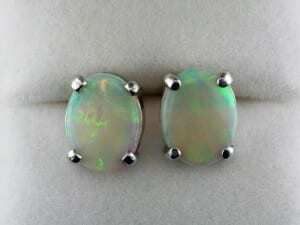 The opal comes in a variety of colors which are white, black, fire, and boulder. 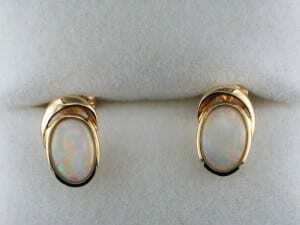 Classic opals are popular due to the play of color that they possess. 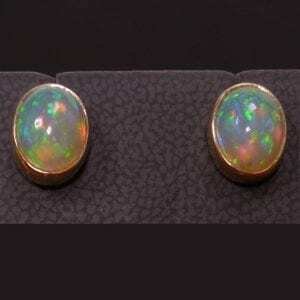 The opal gemstone has a hardness of 5 to 6 ½ on the Mohs scale of hardness. 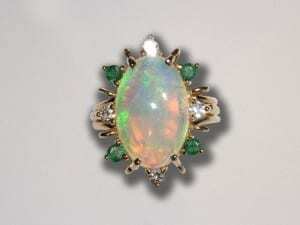 Most opals are not faceted they are usually cut in cabochons. 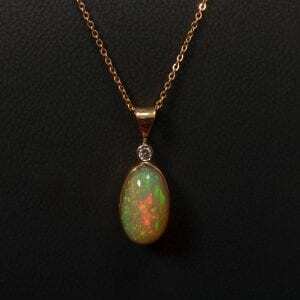 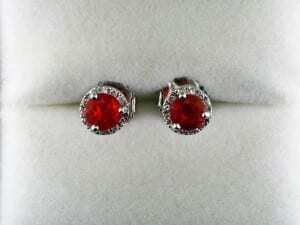 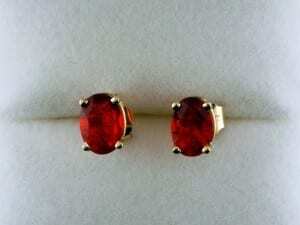 The fire opal is the exception to the rule as far as faceting is concerned. 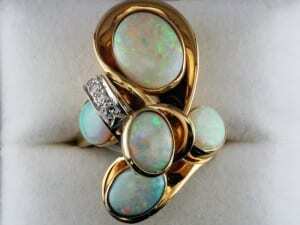 Storing opals in an airtight container can cause a phenomenon known as crazing which is due to the loss of moisture. 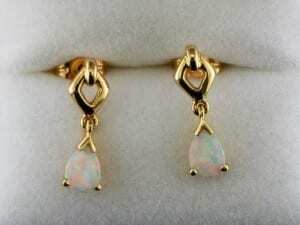 Crazing is network of tiny fracture caused by the loss of moisture. 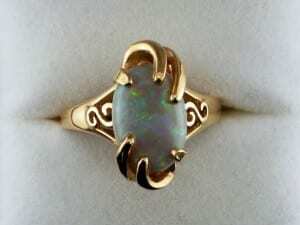 Opals should be clean with mild soap and Luke warm water. 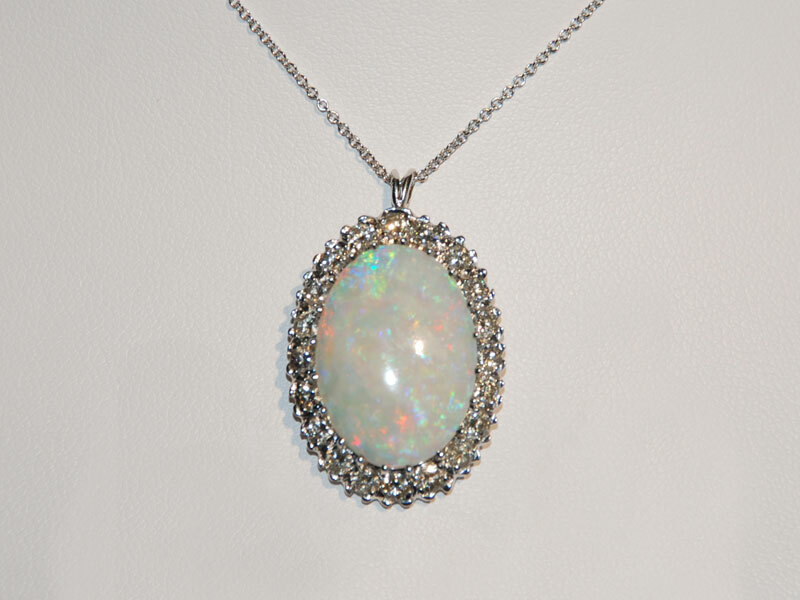 Did you know that the opal was considered a stone that provided luck to the wearer? 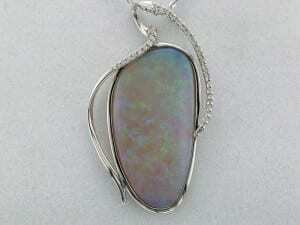 Opals are mined in primarily in three location Australia (black and white), Brazil (white), and Mexico (Fire). 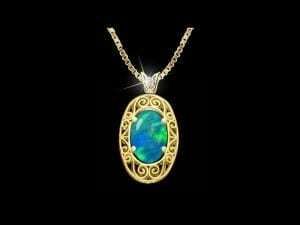 One of the most famous opals is the Olympic Australis opal. 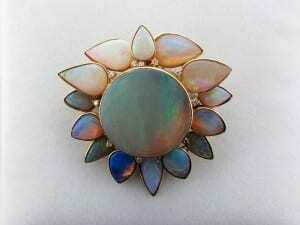 It was named in honor of the Melbourne Olympic Games. 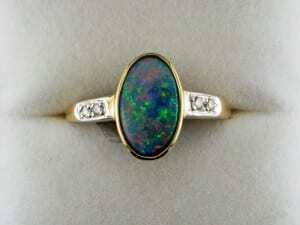 Another famous opal is the Aurora Australis opal which is black in color and is 180 carats. 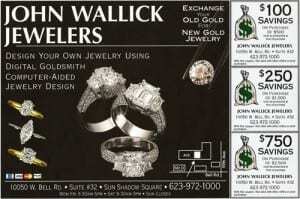 At John Wallick Jewelers we have exquisite opal rings, opal earrings and opal pendants in all price ranges sure to match your budget.